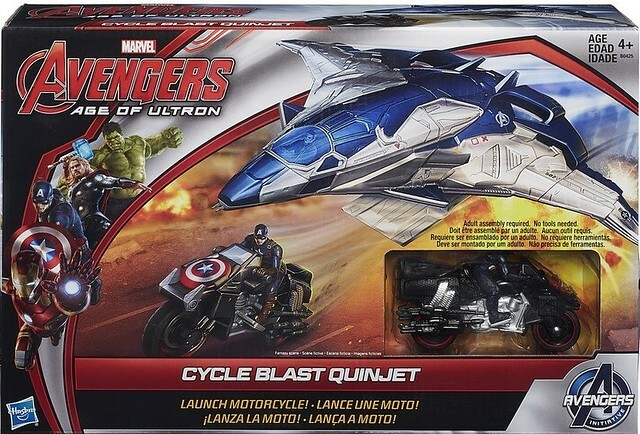 Remember the awesome scene in Avengers: Age of Ultron where Black Widow and her motorcycle are launched from the Avengers Quinjet? 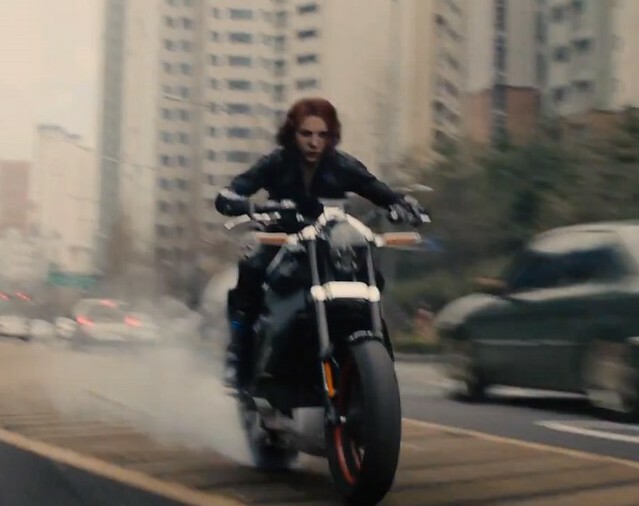 That's right, that's Captain America on the motorcycle, not Black Widow. AFB gives this set, and the continued absence of Black Widow merchandise from the new film, a giant fail. I'm the father of daughters, daughters who are big Marvel fans, who geeked out at the mention of Wakanda in AOU, who love Black Widow, who never miss an episode of the Avengers cartoon and who enjoyed the movie a lot. It's sad to see their disappointment when we go to the Marvel toys section of Target or TRU and they can't find any Black Widow or Scarlet Witch toys.